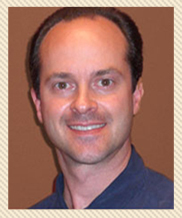 Welcome to Lakecrest Cosmetic Surgery Center, where Dr. Steven Peterson can help you to Enhance Your Natural Beauty. With years of expertise, Dr. Steven Peterson has developed the skill and artistry needed to perform cosmetic treatments designed to achieve the best, most natural result possible. By providing the highest standard in care, safety, education, and communication, Dr. Steven Peterson and the Lakecrest Cosmetic Surgery Center team will put your mind at ease while you move forward on your journey to become your best self. Our dedication to making you look amazing and be the best version of yourself has led us to make Lakecrest Cosmetic Surgery Center the only place near Fort Worth, TX that you will want to go for not only traditional cosmetic procedures, but also the latest non-surgical treatments available in the market today. Our highly skilled surgeon and support staff are trained to ensure that our patients are provided excellent patient care and the best results. Our team is ready to provide a personalized treatment plan for each patient and to recommend cosmetic procedures that will enhance your features and provide very natural looking results. We believe that every man and woman is entitled to look their absolute best so we have made our treatments very affordable and we can discuss different payment options that can suit your budget. And most important, we value and respect your privacy so you can trust that every visit and procedure will remain confidential. Our face and body procedures are guaranteed to make you look more youthful and it can dramatically improve the way that you see yourself and after each treatment we are sure that you will exude self-confidence because of your restored positive self-image. Take that first step to Enhance Your Natural Beauty and call our office to schedule a consultation with Dr. Steven Peterson in beautiful scenic Granbury, near Fort Worth, TX. Together, you will find the best cosmetic procedure that will help make you look amazing, youthful, and more vibrant.